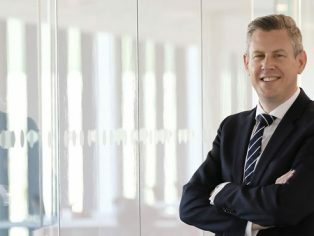 Aluminium systems supplier Reynaers, has announced the appointment of Richard Hall to the position of Managing Director for the UK subsidiary of the business. He will oversee the continued growth of Reynaers as it expands its trade and retail offerings and builds on its success in the commercial sector. A Birmingham local, Richard has over 22 years’ experience in sales, marketing, engineering and supply chain roles. He joins from Schaeffler, where he has held board positions for over 12 years, leading on projects across the automotive and industrial sides of the business in the UK and Ireland. “I was attracted to the role at Reynaers due to the strong emphasis on product leadership and customer relationships. The company has gone from strength to strength, having doubled the number of employees and turnover in the last decade. For over 50 years, Reynaers Aluminium has been producing cutting-edge glazing solutions for some of the most iconic buildings in the world, specified time and time again by the world’s leading architects and construction companies. Their most recent innovations include the CP 68 patio door, a product with excellent thermal performance and optimal transparency that position it as a go-to choice for the UK trade market. Touch handles are also in Reynaers’ development pipeline, designed to suit contemporary living requirements without sacrificing ease of use. Reynaers’ expertise and dedicated product development facilities enable it to make solutions that meet the demands of every industry sector. Their SL 68 aluminium window with its ultra slim frame and unique insulation and security features is a perfect solution for both trade and retail-focused projects. Similarly, their CW 50 curtain wall offers design flexibility, transparency and thermal efficiency which are key features for the commercial sector. Find out more about Reynaers’ product offering by email: reynaersltd(Replace this parenthesis with the @ sign)reynaers.com; call the office on +44 (0)121 421 1999 or visit the webiste https://www.reynaers.co.uk.